Pisces season means that we can fully dive into Neptune’s realm, as the gas planet has been at his home base Pisces since 2011. When the Sun is in Pisces we can access the Neptune energy on a personal level. Thats why this can be such a fruitful month for the Neptunian forces; dreams, music, drugs, loss, empathy and awakenings amongst many others. Its the time to tune in to the more sensitive frequencies which might not be received at other times. 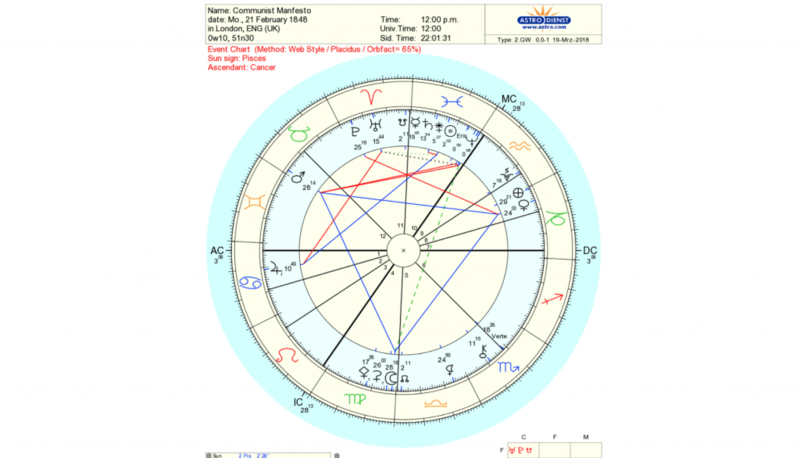 Since we have entered the digital age, these frequencies have altered their intensities.The last time Neptune entered Pisces was in 1848, a revolutionary year in which the Communist Manifesto was published. The small paper on the spectre haunting Europe would become one of the most influential pamphlets ever. The forces that communism set off are still strong today, with China’s rising power riding on an antique, yet highly efficient and fully upgraded hi-tech post-communist turbo diesel. 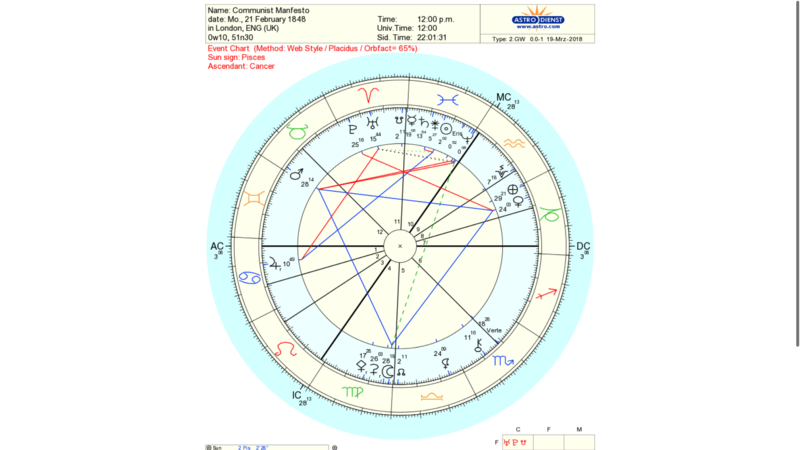 Looking at the chart of the communist manifesto, it has Sun at 2 Pisces conjunct Neptune at 0 Pisces, both square Mars (in Taurus). 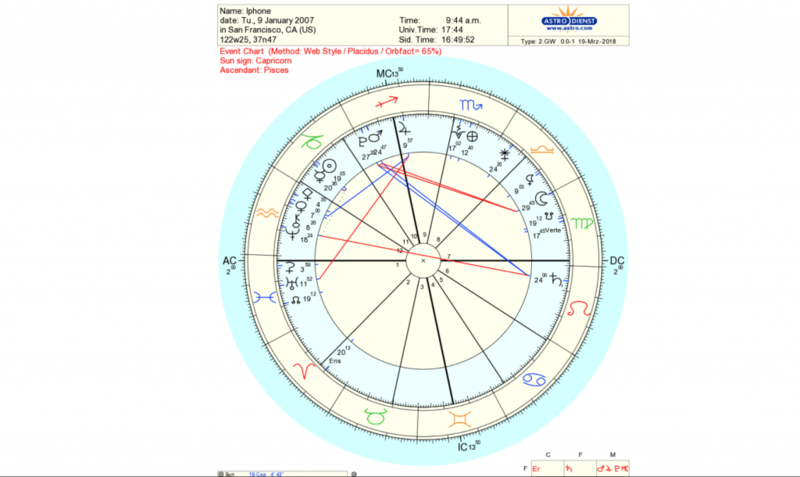 That Mars is connected to an Earth trine which is linked to the Nodes. The working class consciousness had arisen and would simmer the rest of the 19th century. The power of Neptune in our epoch (2011-2025) is very strong. Neptune has not been so powerful for hundreds of years. 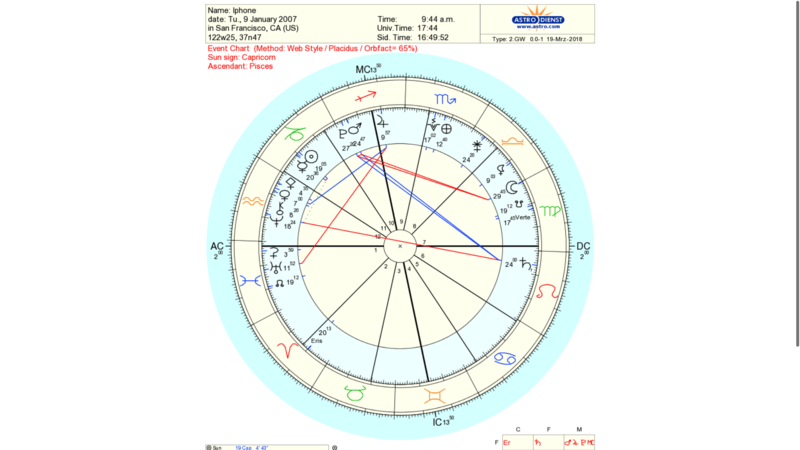 Last time around was just before the Neptune Pluto conjunction of the 1890s, the new dawn of our epoch (as well the beginning of modern astrology). This Neptune in Pisces is the first one that gives genuine direct access to the information age cycle, which will last for another 360 years or so. The other Neptune Cycle which is triggered is Neptune-Uranus of 1993, the onset of the digital. 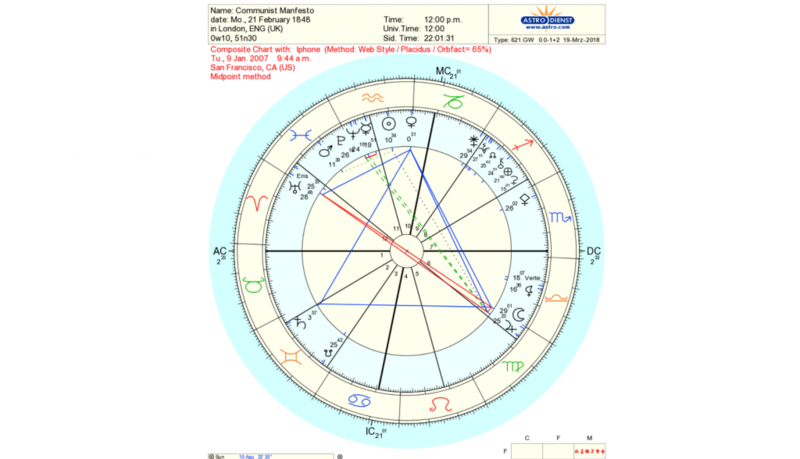 When Uranus transited Aquarius from 1996-2003 the internet was implemented. This Neptune cycle will bloom in connectedness, the spiritual immanent counterpart of the digital era. The phone is just the onset, pretty soon the connection will go through the body itself, for good or bad. The power of Neptune is emphasized by the fact that we are in the waxing, growing phase of the Neptune cycles. The waning, closing phase, after full moon basically, is more difficult. The Communist Manifesto came out in the last waning phase of Neptune-Pluto, which increases the chance on violent and difficult consequences. The bloom of the Manifesto was only released after the Neptune-Pluto conjunction of the 1890s and was not all flowers and roses. An interesting question is how they can connect to the Manifesto. Emperor Xi already put this process in motion and the picture emerging echoes Orwellian control. Still, our local machines will also count your plastic and water use or grant access to the airport or train station. In the composite of I-phone and the Manifesto we see some new lines merging. 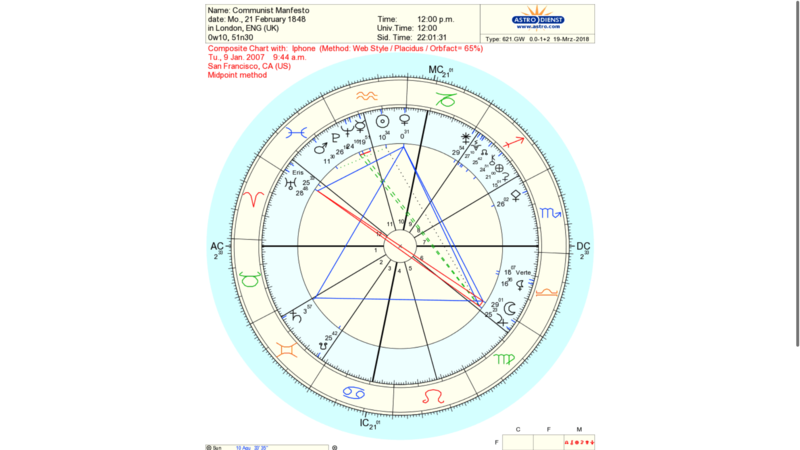 Aquarian dominated with a Pluto Neptune conjunction puts the time frame fast forward. The air trine appears friendly but is under 12th house kite control by a Piscean Uranus. Its not so far off Xi-ism as it might seem. Socialism as a means of control rather than redistribution. Freedom is supported as long as you manage your relationships well. Likes and dislikes are bridging the data gap as the armour of the digital era.